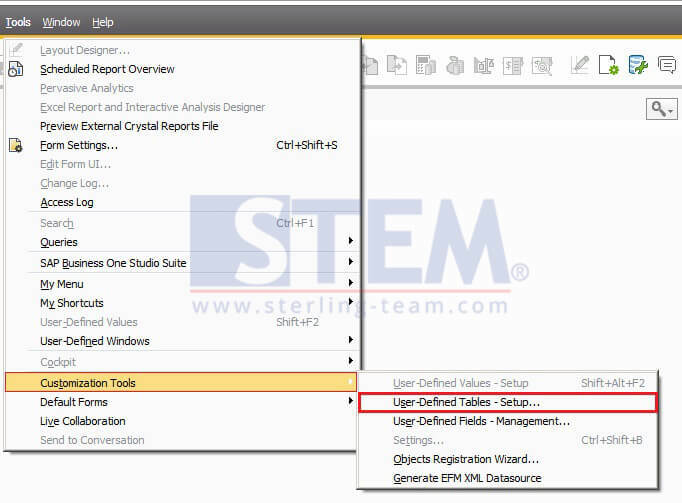 In the User Defined Tables – Setup window a new object type ‘No Object with Auto Increment’ is added in the drop-down list of the Object Type field. When you apply this type, the application created a user defined table with two fields Code and Name. With the sample on the picture above, look for table TBL_NOOBJ & TBL_NOOBJINC. The Code field is auto-increasing, therefore no need for manual input by the user. As we know, before patch level 04, when create a new table, you still need to input the unique code by yourself. 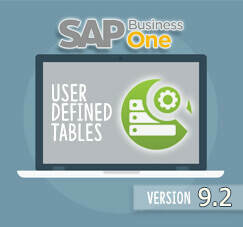 But, with this new feature, you can save a lot of your time for creating a user-defined tables, fields, etc.